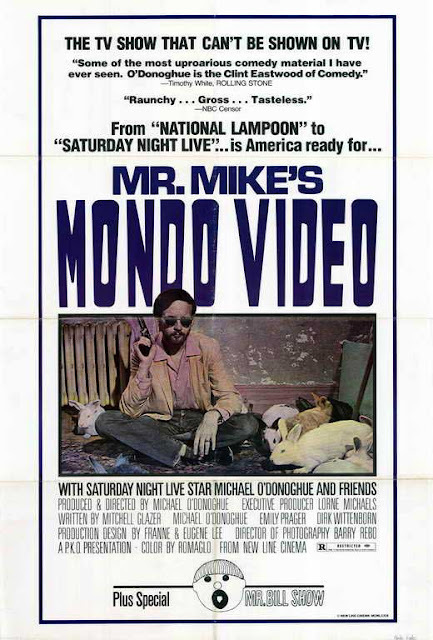 Originally slated to be a one-time replacement for Saturday Night, this 1979 parody of MONDO CANE (and the other films of the "Mondo" fad) was directed by and starred Michael O'Donohue and many of the first Saturday Night Live cast. Various cameos feature everyone from the late Carrie Fisher to the late Margo Kidder. NBC refused to show it due to "racy content" and it was later transferred to 35mm film and released to theater audiences. Tame by today's standards, it was considered "edgy" at the time!